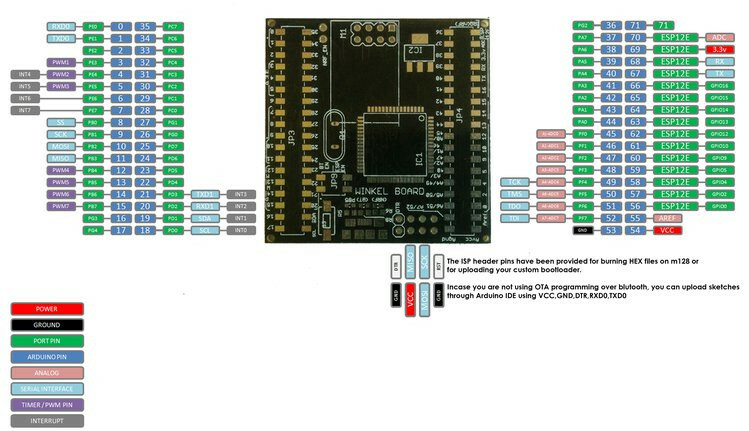 There are plenty of Arduino compatible boards with WiFi based on ESP8266 WiSoC going for around $5 to $10, and with ESP32 processor, we are starting to have $15 to $20 boards with both WiFi and Bluetooth, but while ESP-IDF SDK has been progressing nicely, some parts of Bluetooth functionality are still not implemented. 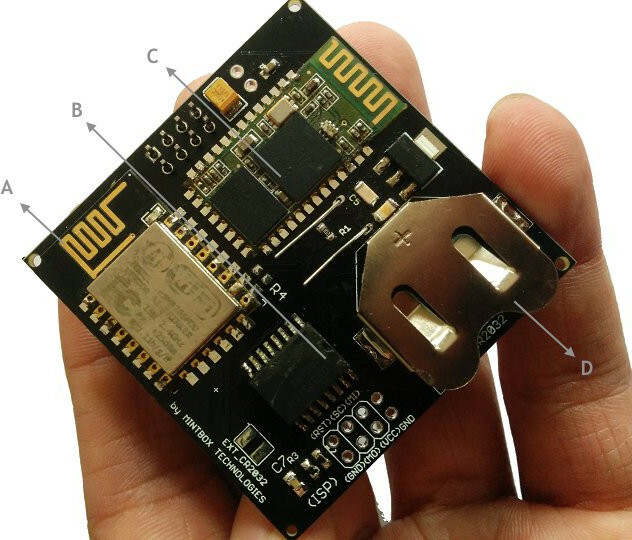 Winkel board offers an interesting alternative by offering WiFi, Bluetooth, 2.4GHz ISM, and an RTC for $24. RF Radio – NRF24l01 2.4 GHz ISM radio. (Note: It might be possible to use it for Bluetooth LE connection, see here and there). 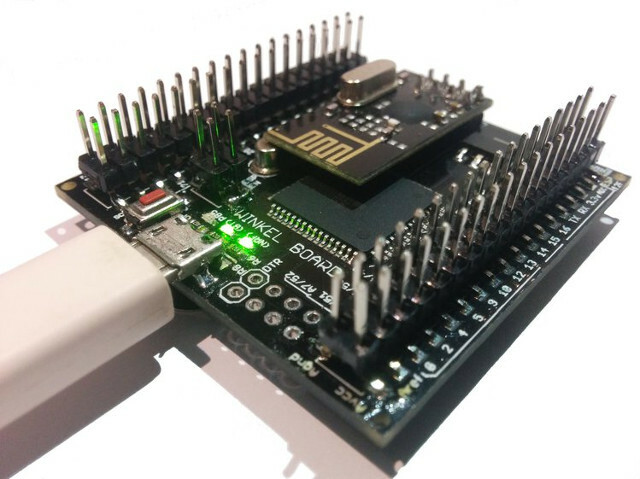 Winkel board can be programmed with the Arduino IDE via a micro USB cable, but you could also program the Atmel MCU over Bluetooth, and ESP12 module over WiFi without any cable required, a must if you want to update your firmware while the board is already in a case or hard to access. Thanks to the company’s “Smart Opt system” individual components can be power on and off individually, so that unused module don’t draw power. Source code for the firmware and code samples can be found on github. Rishi Hegde of Mintbox Technologies informed me that the board has now been launched on CrowdSupply with the company aiming to raise at least $1080. A $21 early bird pledge should get you the board will all modules (the price will be $24 after the first 50 boards are gone), but if you only want the core boards, and add your own modules, you could also pledge $12 to get the board with Atmel ATMega128 MCU and a micro USB port only. Shipping is free to India and the US, but adds $9 to the rest of the world, with delivery expected in March 2017. More details may be available in Mintbox Technologies’ Winkel product page. There may be some limitations, but based on mbed wiki, they managed to send some (sensor) data to an Android phone over BLE.